Since he entered our program in August 2016, Fernando has shown a stellar performance both as a student in the Department and as a researcher. 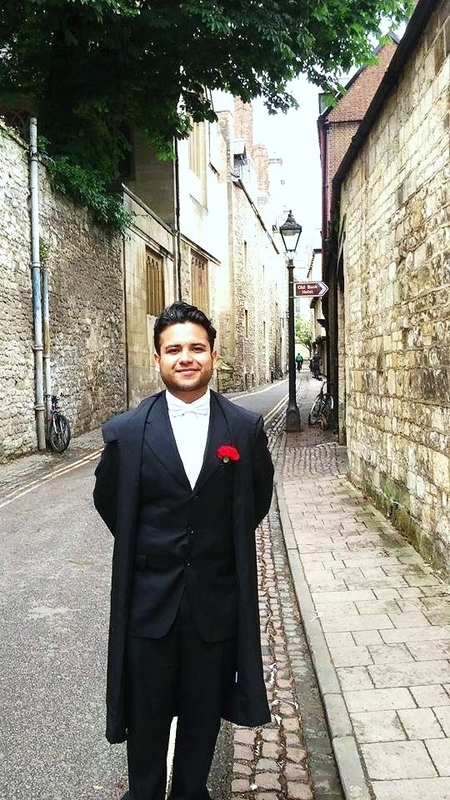 He joined our Department after he completed a BA in Italian Language and Literature and an MA in Hispanic Linguistics (Brigham Young University) as well as a Master of Studies in General Linguistic and Comparative Philology (University of Oxford, England). Fernando has maintained a 4.0 GPA for his PhD coursework and was the recipient of the Hycnar Distinguished Graduate Fellowship in 2017. He will finish his doctoral coursework and take the preliminary examination ahead of schedule in August, 2018. Beyond his extraordinary academic performance, Fernando has shown his excellence and potential as a researcher in other scholarly activities. He has collaborated closely with Professor Fernando Tejedo in the transcription and edition of a corpus of seventeenth-century letters. He has presented his own research on his areas of interest (diachronic approaches to discourse and information structure) at graduate student conferences (Lusophone and Hispanic Linguistics Symposium, UW-Madison; Kaleidoscope, UW-Madison) and has co-presented a paper with Professor Tejedo and another graduate student on several aspects of the history of Spanish at the national level (Kentucky Foreign Language Conference). Fernando is currently working on extended versions of these presentations to be submitted for publication. In sum, Fernando is an exceptional student that has demonstrated a serious commitment to and extraordinary potential in Hispanic Linguistics research. He is a top-notch student, a promising researcher, and a most deserving recipient of the Ray Harris Hispanic Linguistics Award.